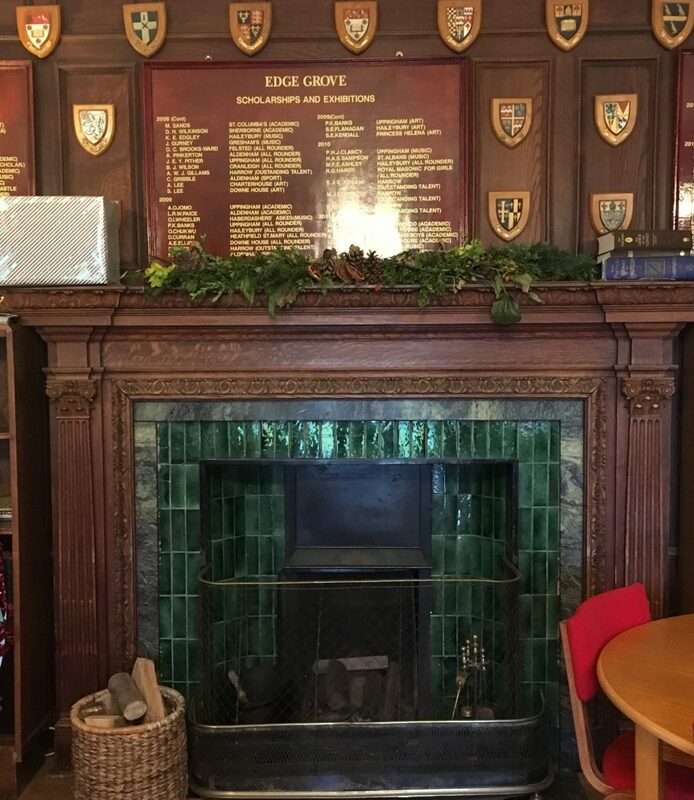 Review of Edge Grove independent co-ed day and boarding prep school in Aldenham Village Hertfordshire. Muddy says: This friendly co-ed day and boarding prep school has a family ethos and a creative and dynamic approach to learning. What? Where? 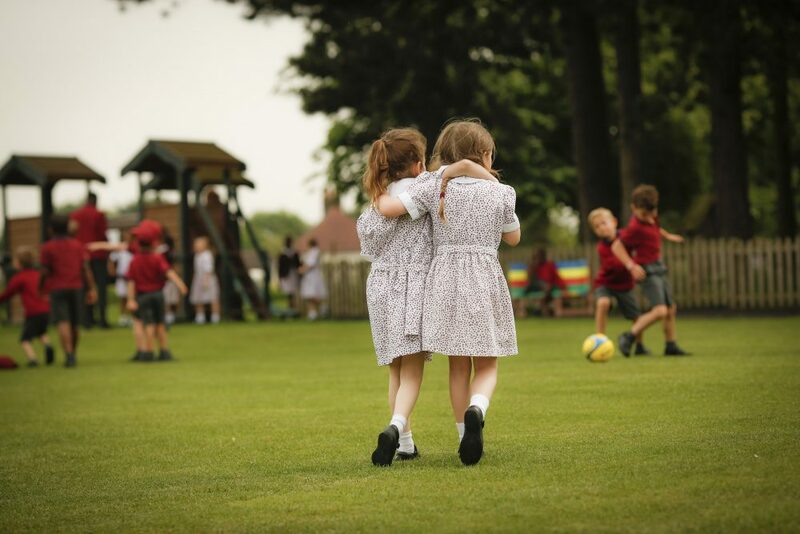 Edge Grove is a day and boarding prep school for 495 girls and boys aged 3-13 years in Aldenham Village, close to Radlett. 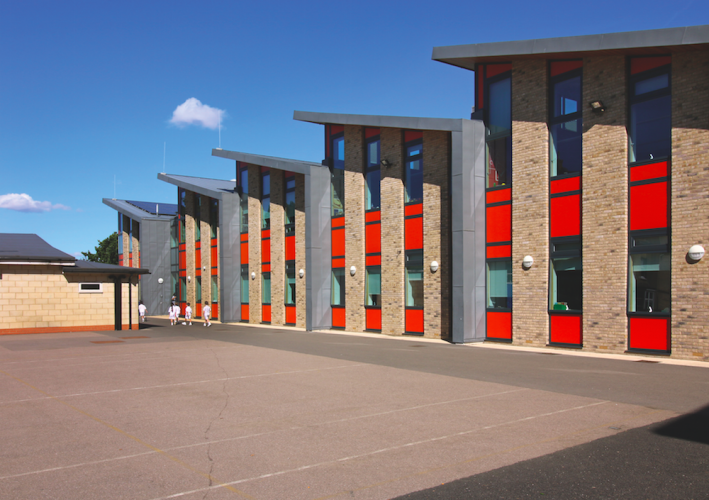 The school is within easy reach of Watford and St Albans (about 15 mins to each), and central London is 15 miles away. As with so many green belt locations in Hertfordshire, you could be in the middle of the countryside, yet the M25 and the M1 are both minutes away. 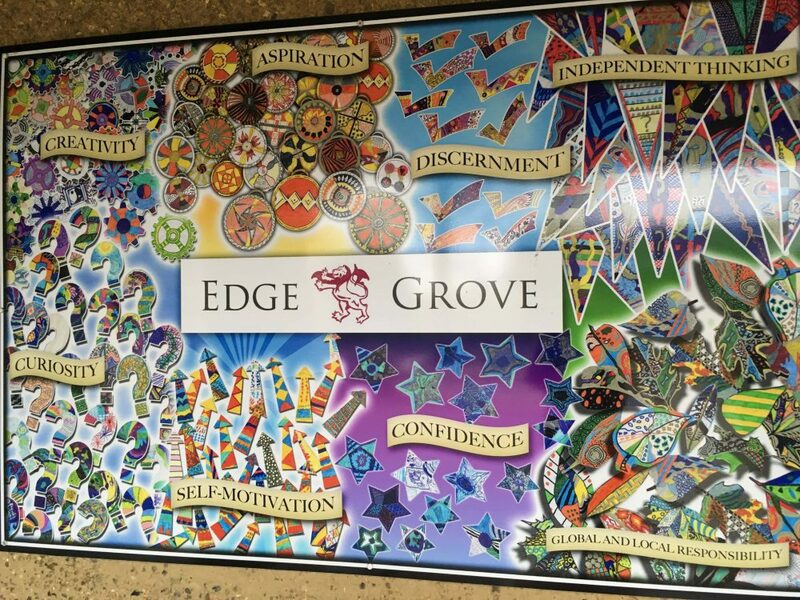 Founded in 1935, Edge Grove celebrated its 80th anniversary a couple of years ago. The setting is idyllic: 28 acres of parkland and a swoony, wisteria-clad country house. If you were an acquisitive hotel brand, you’d want to get your mitts on this elegant building. Or how about a members’ club? 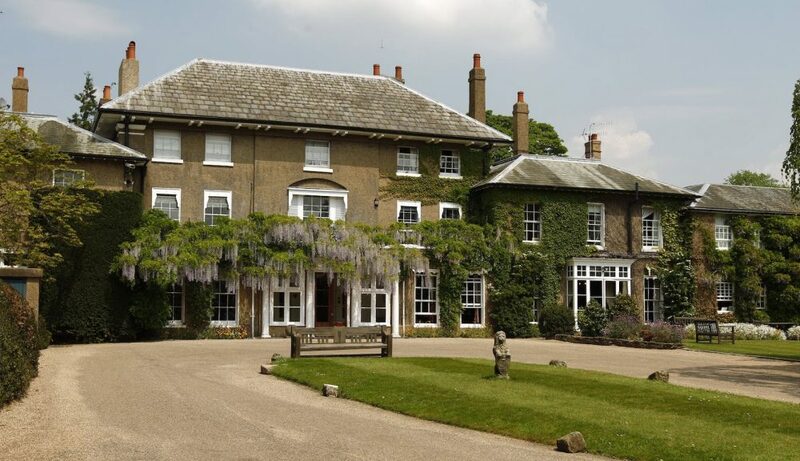 Soho House in Herts? The main building has the feel of an established family home, with a grand staircase and lots of oak panelling. In addition to the many original features, there is an impressive and ongoing programme of development and refurbishment. In July 2018, work starts on a new building for the lower school. Facilities: Excellent. There’s an outdoor swimming pool. There are netball and tennis courts in a restored walled garden. (Are you getting the house-party vibe?). Edge Grove excels at sport and there are many national wins. Pupils here do three games sessions a week. It’s all inclusive: teams are from A – I. Girls play cricket and hockey and rounders are mixed. As well as the 9 acres of playing fields and pitches for cricket, hockey, rugby and seven six-a-side football, there’s an astro-turf hockey pitch and a croquet lawn. Edge Grove hosts the national prep schools tennis table tennis championships. There’s a lake that comes in handy for geography and science lessons. An amphitheatre lends itself to site-specific performances: it provided the perfect setting for a production of a Midsummer Night’s Dream. There is a Forest School that is used by all years, with a gazebo and log circle. You can learn archery. Music is strong here, and the music school is well furnished with iMacs for composing and recording. 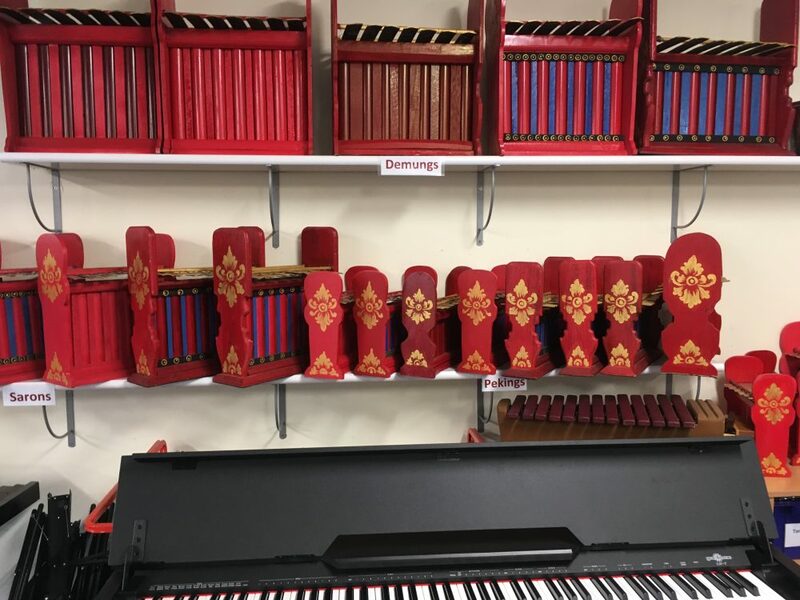 The majority of pupils learn an instrument. The Kitchen Academy (formerly known as the home economics dept) is also new. Sponsored by Zanussi in collaboration with Gino D’Acampo, there isn’t a Baby Belling in sight. There are separate language labs with specialist teachers for French and Spanish. 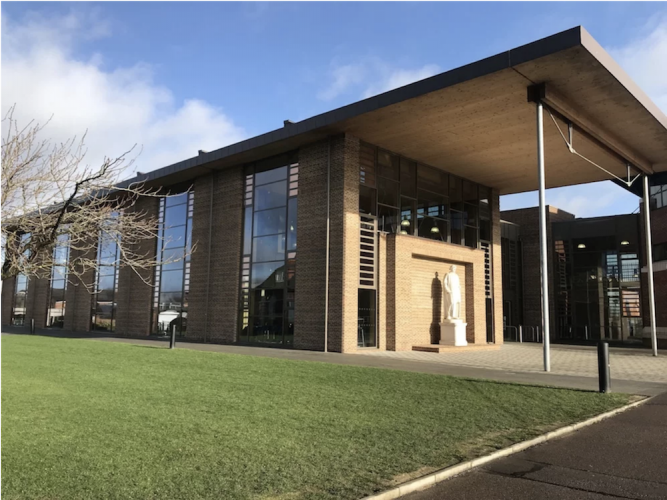 The art and textiles department is currently in a converted stable block but as part of the new build, there are plans for something bespoke and creative, using 20% recycled materials. What else? Edge Grove has a robust, outdoorsy feel, and when I visited, during the mid morning break the children playing outside were packed full of energy and had rosy cheeks. This could have been the glow reflected from their claret 100% wool jumpers, that weigh more than a new born lamb when washed. Being outside and running around isn’t quite enough for developing healthy children and adults. Research at Loughborough University has shown that some children are not developing certain muscles that used to flourish when we all used to swing about like monkeys on climbing frames. Edge Grove has addressed this and has built an adventure playground with climbing apparatus. There are too many after school clubs and activities to list them all but how about Mandarin, fencing, Italian, taekwondo, horse-riding or yoga? Gardening is a particularly popular activity and the school has won a Royal Horticultural Society Award. Not so shabby considering that 30,000 schools entered. 150 trees have been planted recently. 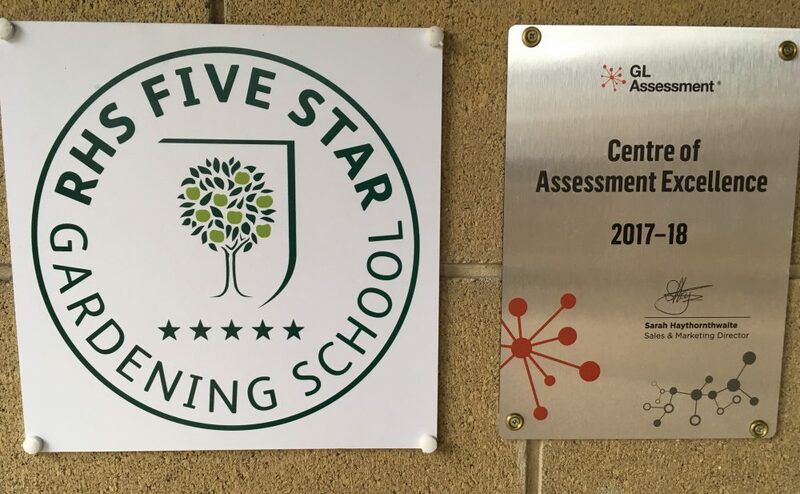 The school has won a gold award from The Woodland Trust for maintaining its arboretum. The school believes that travel broadens the mind. Expedition Week is an annual event for Years 3 to 8. There have been cricket tours to Sri Lanka and a netball tour to St Vincent. The jazz band went on tour to Amalfi. With London on the doorstep it’s easy to raid the cultural larder. You’re my working wall; you’re my wonder wall. Edge Grove has both. 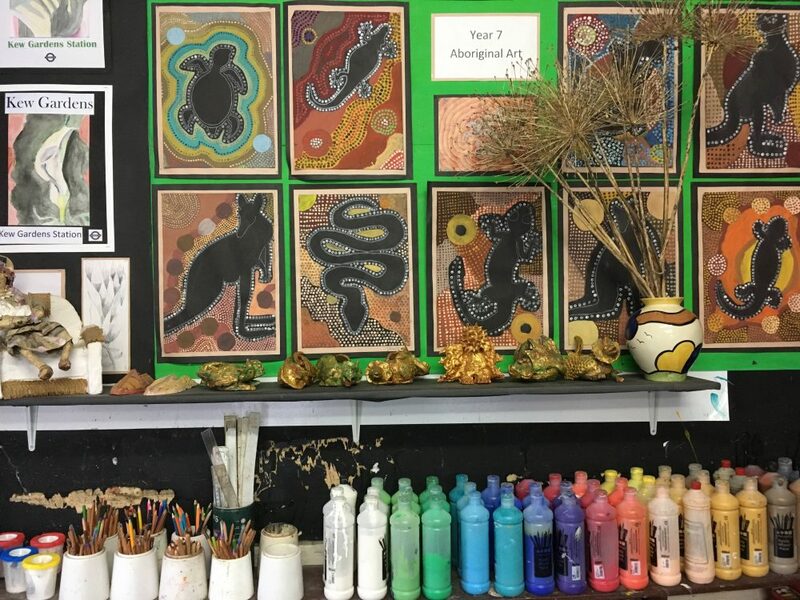 There is a genuinely creative approach to learning here. If you get up from your desk and write on the walls, this is actively encouraged. Some walls have a coat of whiteboard paint to make this easier. This is Edge Grove’s active learning in action, and given that we’re now all realising that sitting for hours is worse for our health than smoking, I am all for this approach to the classroom. I visited several classes, and there was a very dynamic feel about the lessons. Chrome Books and Google Classroom have been embraced. The purpose built pre-prep department is bright and beautifully designed, with an outdoor learning area. Ben Evans arrived at Edge Grove in 2012. He is Devon born and bred and studied history and archaeology at Exeter University. I can confirm that he is an authentic Devonian. His scone etiquette? Clotted cream then jam. His mother breeds ponies on Dartmoor and he has snaffled two and whizzed them up the M4 and around the M25 to Edge Grove. During our meeting, I got the sense that when he was new broom he made lots of positive changes. He redesigned the timetable so that now all academic subjects are taught in the morning. He put an end to Saturday lessons. If you don’t board, you can still come in on a Saturday if you want to, but to do sport and other activities. The 10 year building and improvement plan that has all come to fruition under his watch. Numbers are up: in 2012 there were 320 pupils. In 2018 there are 495. He is healthily ambitious for the children and the school, but he’s got things in the right order: mental health, happiness and well being above academics. He met his wife Alexandra (now very involved in the school) when he was teaching in Sri Lanka and they have two young sons, both at Edge Grove. He has taught at his old school Bramdean and he was head of history at Brighton College. He is likeable, grounded and confident. He makes no apology for the fact that the school is ‘gently selective’. 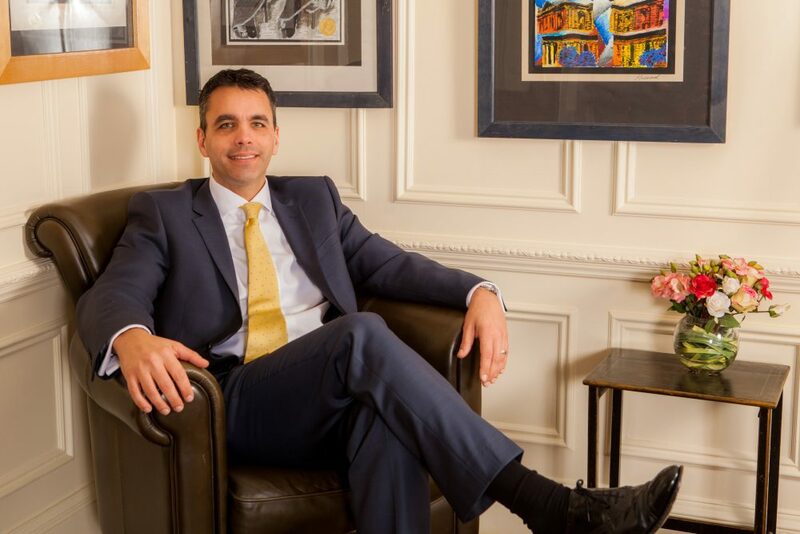 He is big on empowerment and nurturing a positive mindset for the children and the staff. Boarding: Weekly or flexi? You choose. As you might expect, flexi is the most popular and you can board for 1 or 2 nights a week. You can board from age 7 and all new boarders have a buddy. 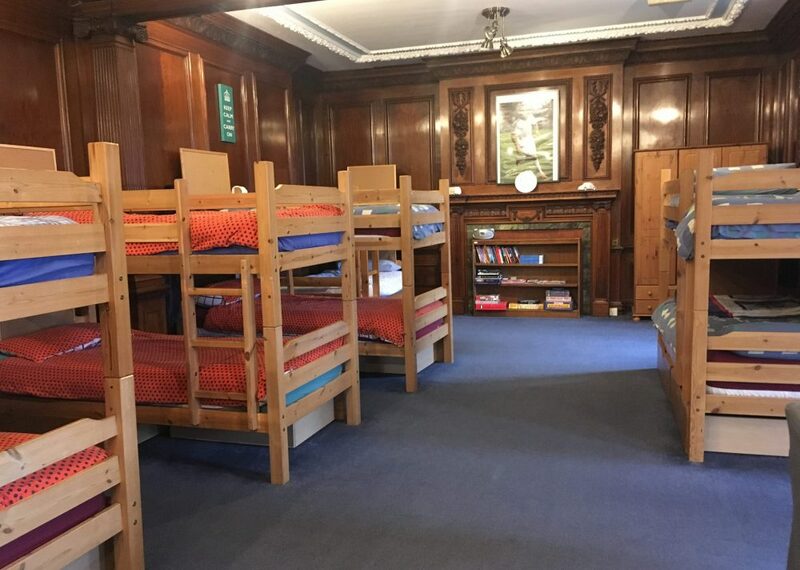 There are 50 beds, so the boarding facility isn’t huge and there are often spaces should your child want to stay for a couple of nights. The dorms have lots of personality and I liked the feeling of going upstairs to bed. Ben Evans and his family also live upstairs and this adds to the homely feel. Do you fancy going to sleep in the original ballroom of a Georgian house? Welcome to North Dorm. Quirks: The Head Girl and Head Boy do a podcast every Monday morning. Edge Grove has its very own Baccalaureate, designed by Headmaster Ben Evans. There’s also the Edge Grove Award, a bit like an own-brand Duke of Edinburgh. Resilience is a big thing here. How do you teach it? How can you prove it? There’s a special programme of leadership and outdoor team working skills. 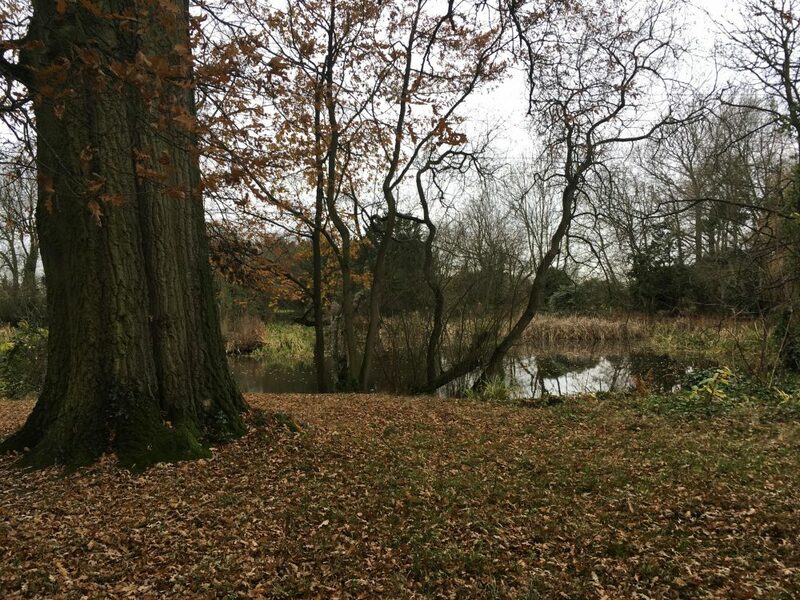 Activities include rock climbing and orienteering at Phasels Wood in Kings Langley. The school is also big on buddying and mentoring. The entrepreneurial spirit is alive and kicking at Edge Grove. Just before my visit the children had taken part in a huge challenge to create their own business and in some cases, to sell their products, from Christmas cards to chocolate brownies. I don’t know if this is quirk but it’s worth mentioning. Ben Evans and quite a few of the teachers are regular contributors of thought-provoking articles to the educational press. The Friends of Edge Grove. It’s not really a quirk to have a group of fundraising parents, but they do deserve a mention. I had the pleasure of gatecrashing one of their meetings in the cricket pavilion. You couldn’t think of a better and more enthusiastic group of warm hearted and engaged people. On the day I was there, the parents were all mums. The material for an award-winning sitcom is right there in that pavilion. They have even invested in a Nespresso machine to really make the most of their brainstorming sessions. Alexandra Evans, the Headmaster’s wife, was chairing the meeting and is impressive and charming and has a great sense of humour. Academic: There are no more than 20 pupils in a class, with specialist teachers for most subjects: science, French, Spanish, art, music, computing, drama and PE. Pupils who need extra help are given it. 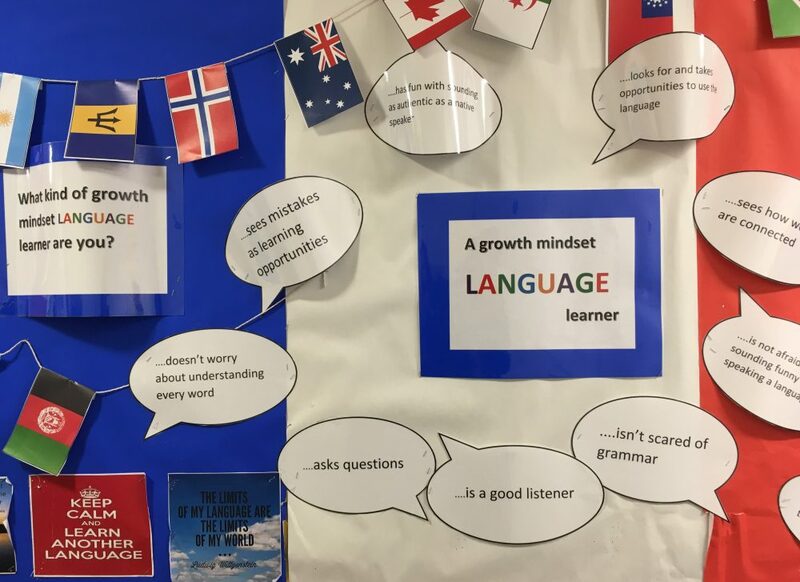 There is also help for children whose first language isn’t English. Talented and gifted pupils are celebrated. From Year 5, subjects are taught for the ISEB exams. Pupils either take the 11+ or 13+ Common Entrance exams. They don’t tutor for the 11+, preparation for this happens naturally from Year 4. During Years 7 and 8, there is a tailored programme for common entrance and scholarships. Children are split between scholarship sets and common entrance sets. Everyone gets their first choice and three scholarships in Year 6 and five scholarships in Year 8 were won in 2017. 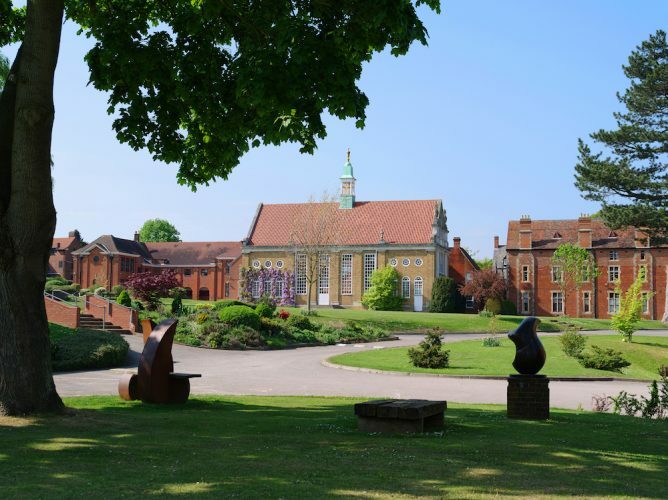 Year 6 destinations included St Albans High School for Girls, Queenswood, and Haberdasher’s. Year 8 leavers went on to Westminster, Bedford, Eton, Harrow, Rugby and Stowe. There were five scholarships for Wellington, Bedford School, Queenswood and Oundle. Wraparound: Being a boarding school, everything is set up to offer this. In addition to all the after-school activities, you can also stay on at late club until 6pm. Breakfast club: £4. Day pupils can have boarders’ tea: £5 per meal. Fees: Pre Prep – Years 1 and 2 £4,065 per term. Upper school £5,435 per term. Boarding per night £50 to 5 or 6 nights £1,990. Word on the ground: Parents love the strong family ethos at Edge Grove. They also like the fact that it is multi-cultural. A big tick from parents for the old-fashioned values: manners mean a lot here. Parents also like the lines of direct communication between home and school. 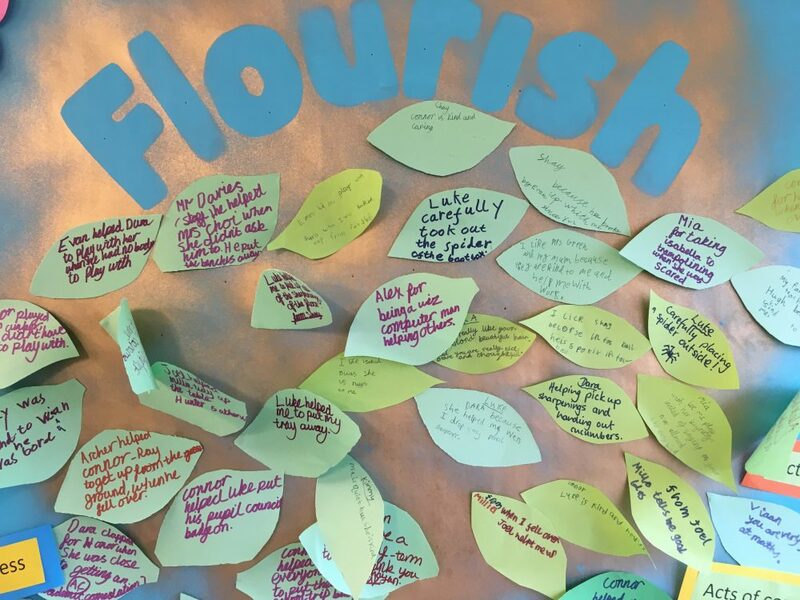 Pupils like the fact that boundaries are made clear: you can kick a ball around the trees but you can’t climb them; bullying is dealt with immediately. Big respect for the support you get when choosing your next school and also the help you are given with entrance exams. The match teas are legendary. Good for: Children who want an outdoorsy school with grounds that feel expansive. There’s a strong family feel and an independent and creative approach to learning. And there’s a traditional approach when it comes to social skills. Not for: I can’t really think of anyone who wouldn’t like Edge Grove. It has a joining in ethos so if you’re not up for adventure and challenge, it might not be for you. Dare to disagree? Be my guest! You can arrange a visit at any time, but there is an open morning on Sat 23 March. My son had several happy years here. He is confident without being cocky, very sociable and his manners are impeccable. He also got into one of the best universities in the country and the foundations were laid at Edge Grove. Fantastic school. Can’t fault it.